Michelle Yen-Howland is from Taiwan. When she was 20 years old, she moved to Canada to complete her music education. She is a certified and qualified piano teacher and performer. Michelle grew up in a musical family. She learned piano through her family’s music business, JaJa Music Academy in Taipei. This music business was profoundly influential all throughout Taipei city. JaJa Music Academy has made enormous reputation contributing classical music to Taipei city and its students have spread out world wide to some of the worlds most well known music academies – Royal Conservatory of music in London and renown conservatories in Europe. Michelle Yen-Howland performed for the mayor at age 12, Lee Teng-hui (who became the president in the years after), of Taipei. During that time, classic music was very much promoted because of the JaJa music Academy’s continuous efforts towards classical music. 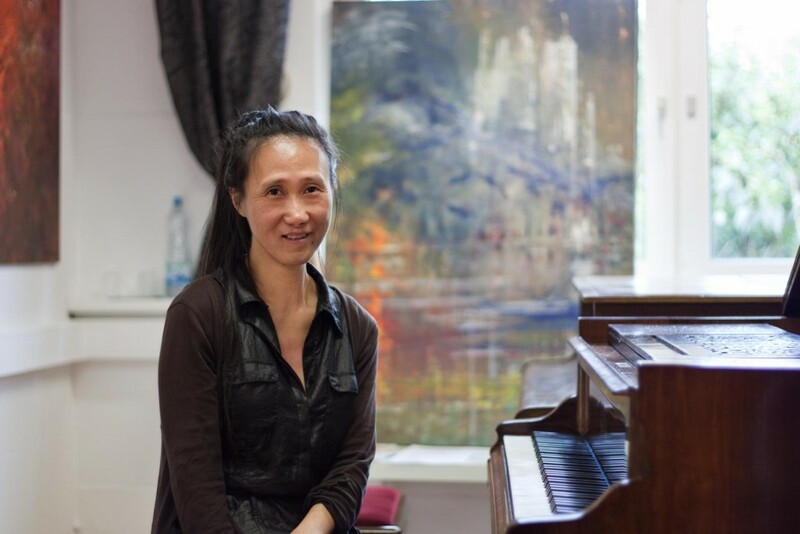 Michelle Yen-Howland continued her further piano studies in Canada and became a teacher at Victoria Conservatory of Music since 1994 right after she graduated. Michelle Yen-Howland has established an exceptional reputation for earning awards for her students in the Victoria Performing Arts Festival in Canada. Each year, her students received top prizes for the best Classical work, best Romantic work and the best Concert performance. Her students also participated yearly in reputable events such as the Canada Music Week. Michelle’s students achieved the highest marks and received many valuable scholarship awards from the Victoria Conservatory. Michelle’s students have also earned the highest marks from the Victoria Conservatory of Music. Michelle has prepared her students to participate in various events such as Chinese New Year celebrations in the community, Gallery Grand openings and any other Functions. Most importantly, Michelle is known for bringing her students to perform in retirement homes to bring music to the elderly. They together have visited many retirement houses and earned high respect from such societies and have always been invited frequently to perform from time to time. in 2014, Michelle organized a cultural exchange in Music, inviting Taiwanese pianist Veronica Yen (a graduate from the Royal College of Music in England) to perform numerous concerts in Canada. Michelle organized events and master classes for Veronica Yen and received positive feedback from the local newspapers and critics. Michelle gave master classes in Kaohsiung in 2014.